Mark Allen Catrambone (Chef Mark Allen), 53, died peacefully at his home in Newton, Massachusetts on Tuesday, March 19, 2019 after a 14 month battle with esophageal cancer. Born July 28, 1965 in Burbank, California, Mark is survived by his wife Jodie, parents John and Ann Catrambone, brothers John, Joseph and Michael, niece Jennifer Catrambone, nephews Michael and Anthony Catrambone and his beloved bulldog Chloe. 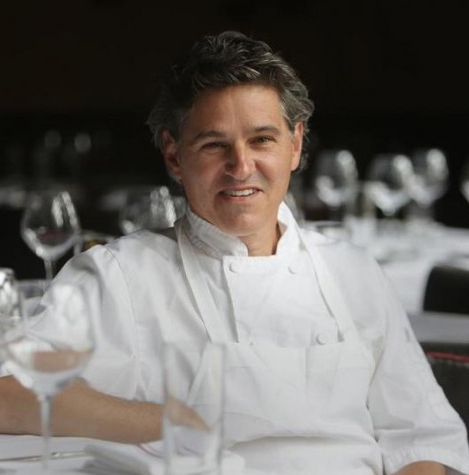 Born in California and growing up in New England, he made his mark on the culinary world after graduating from the Culinary Institute of America in New York. Mark’s lifelong passion for cooking began at an early age when his grandfather, who was also a chef, ignited his passion for food. His talents and love of the industry led him to open two restaurants; Mark Allen, in Napa, California and Le Soir, in Newton, Massachusetts. He is published in many cookbooks, appeared on multiple Food Network series and provided cooking demonstrations to crowds at Boston Food & Wine events. One of Mark’s crowning accomplishments was being the youngest and first American chef at the Ritz Carlton in Boston. As a husband, son, brother and dear friend to all, his kind heart and gentle disposition will be missed as well as his passion for adventure and adrenaline, most of all racing his boat on Lake Winnipesaukee in the summer and big mountain skiing with his brother, niece and nephew in winter.